A comprehensive approach to dental care along with a warm and welcoming attitude makes the Pittsford Dental Excellence Center Rochester, NY’s choice for innovative general and cosmetic dentistry. Our team practices dentistry with compassion and integrity to improve your oral and overall health. At Pittsford Dental Excellence Center, learning never stops. This applies not only to Dr. Guarnieri, but the entire team. Our goal is to keep your smile healthy with comprehensive dentistry. Our team is dedicated to improving our skills and expertise through continuing education. However, our true calling lies in our approach—to provide the most efficient and cost-effective dental care that will help you successfully achieve and maintain a healthy, attractive smile for a lifetime. We are passionate about helping our patient’s look and feel better while smiling more. For our out of town patients, we can even help you arrange transportation and accommodations. Invest in your smile. One call is all it takes to receive the smile and care you deserve. The team at the Pittsford Dental Excellence Center. Prior to becoming a vital member of our dental team, Marilyn held a variety of teaching positions. With a Master’s degree in education, she has taught fifth grade, nursery school and was a Pediatric School Coordinator at Strong Memorial Hospital. Marilyn knows that being part of this office means having a can-do attitude and living up to the highest standard of excellence. And she does just that by participating in our many hours of continuing education per year. Marilyn enjoys spending time with such a caring, compassionate and skilled group of professionals and working with patients. She also enjoys cooking, family get-togethers, reading and when she finds time, sewing and quilting. 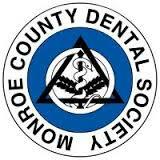 Renie brings more than twenty years of experience in the field of dentistry. Her educational background includes an AOS in Accounting from Rochester Business Institute (RBI) and an AAS in Dental Hygiene from Monroe Community College. Her attention to detail and interest in your well-being, puts everyone at ease. Renie is a youth leader at her church and enjoys spending time with the teenagers. She also enjoys getting together with family and friends or hanging out at home with her golden retriever, Casey. Mindy is a licensed dental hygienist and holds a certification in anesthesia. She has eight years of dental experience. Mindy has seized many opportunities within our office that have helped grow her skill set and expertise. She is dedicated to giving our patients the best, thorough, and gentle care all-the-while wearing her contagious smile. Additionally, Mindy is a loving mother to two children. Tami has been a part of the PDEC team since 2014, after moving back to Upstate New York. After graduating from Cazenovia College with her BS in Business Management, Tami began her dental career in 2005. She was an office manager for several office locations in Charlotte, NC. Tami always enjoys a challenge, and appreciates the continued growth and learning available through PDEC. Currently. she is working towards her Certified Dental Assistant from New York state. Tami enjoys educating and helping clients get healthy and stay that way. Off duty, she enjoys time with her husband and daughter, the dirt track (her husband has a race car!) and staying active and healthy. 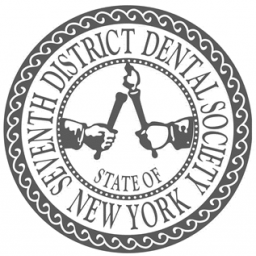 Cassandra joined Pittsford Dental Excellence Center in 2014. After working with children with disabilities for 11 years, she sparked an interested in the dental field. Cassandra started this new career in 2013, attending Monroe Community College for Dental Hygiene. Cassandra has always been interested in oral health and its systemic link to other health issues. Now she shares that knowledge with others, as a clinical assistant in the same hygiene program where she was once a student. With the support of Dr. Guarnieri, Cassandra Bianchi, our hygienist at Pittsford Dental Excellence Center, has completed her certification in Orofacial Myology! Dr. Guarnieri, who has been committed to an airway residency program, saw this opportunity within Cassandra. Her drive for knowledge, patient relations, an educator herself, and her professionalism made her the optimal choice for this addition to his practice. Outside of work, Cassandra likes cooking, fitness, bike riding and running.